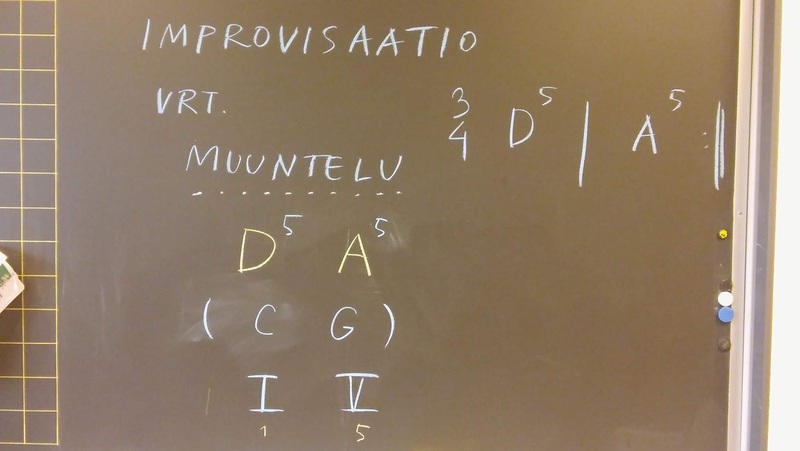 With 1st and 2nd graders we have been practising 'Koiraräppi' (The Dog Rap)-song and remembering the basic blue- and strawberry chords with 5-string kanteles for the chorus of the song. 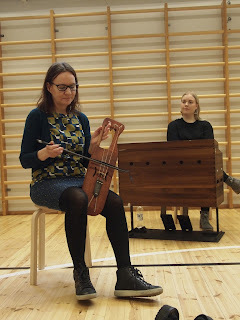 With 3rd graders this week's mission was to widen the know-how with the pianos. 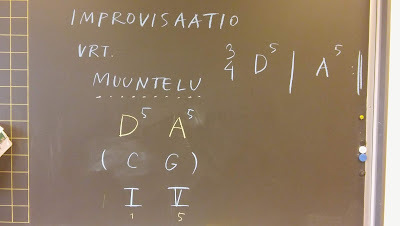 We remembered the chords we have been learning, open D and A -chords and discussed and experimented some improvising. Next week we will have some nice excitement as a small group of 2nd graders will be recording a piece to a commercial- yes! More about that next week. Really exciting!